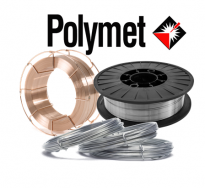 Polymet Corporation to highlight their full POLYSTEL product line offers now Cobalt alloys 1, 6, 12 and 21. Available in MIG wire, TIG wire, bare cast rods, electrodes and PTA powder. 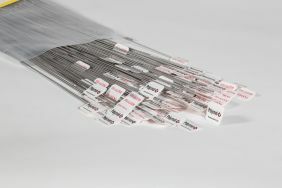 Polymet manufactures the highest quality wire for twin wire arc spray and flame spray operations. Polymet's industrial hardfacing & welding wire product line consists primarily of cobalt, nickel, and iron based hardfacing alloys engineered to protect against extreme wear. This line consists of both solid and cored wire widely used in the valve, lumber, and mining industries. Polymet's gas turbine hardfacing & welding wire product line offers hardfacing alloys once thought impossible to produce. Numerous cobalt and nickel based alloys make up this product line that serves as the backbone to this one of a kind product offering.